The cold weather is hitting is hard and soon we all will be posting pictures on instagram with first snow. I definitely love snow, winter and all that comes with it. But the cold weather is a big examination for our skin and also for our lips. I have always had a sensitive facial skin and lips are a part of it. 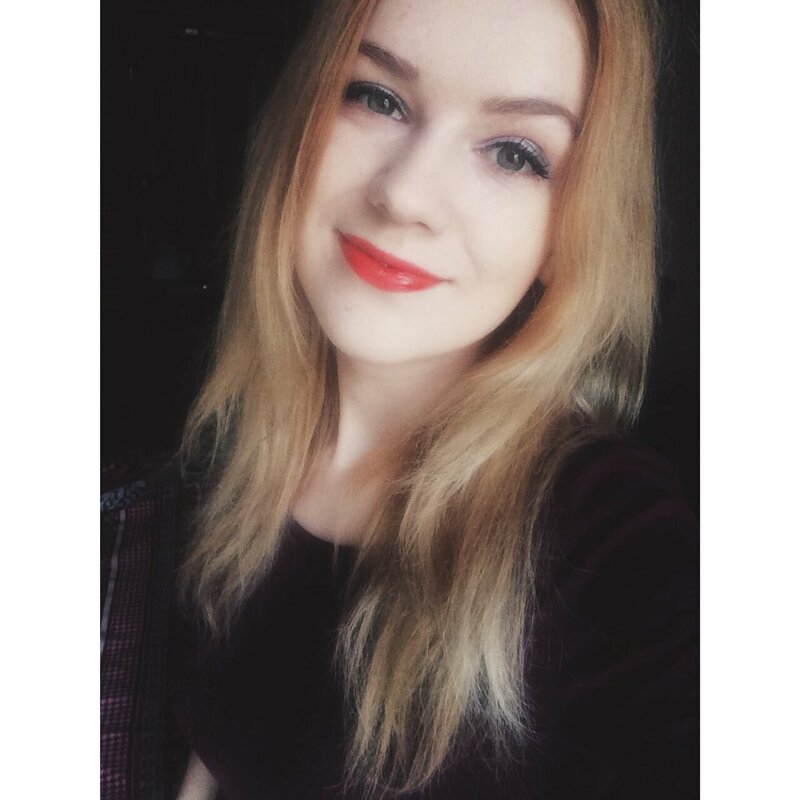 When the first cold and windy days reached Latvia my lips were inflamed. It was so bad that I could imagine them screaming - Annie, we need a nice lip balm who will take a good care of us. The thing is that I have always been choosy for lip balm's...it need to be just as I like - not too dry and not too oily. So I will show you some of lip balms I have had and I have been absolutely pleased with them. 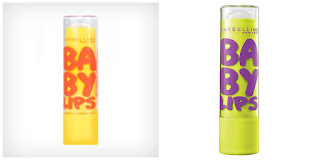 When ''Baby lips'' first showed in Latvia's stores I needed it because like yeah who doesn't want them?! But to be honest...I was a bit disappointed. I bought the peppermint one and almond one.After first time when I tried it it felt strange...like my lips were moisturized, but after some time they were dry again. Maybe it's just me but I think that these lip balms don't stay for long on your lips so you need to re apply it.Anyways, I didn't try the other types of Baby lips because those other who we here leaves that baby pink color on your lips like the lipstick we all had when we were 7. 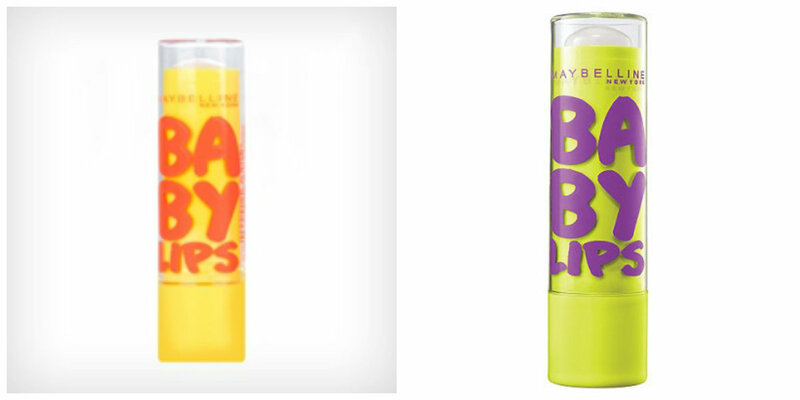 ( That's at least how I see it) So to be honest, baby lips are not my kind of lip balm. They are cheap, yes, but girls, let's be honest, our lips deserves something much better right? allergy from the Nivea lip balm. My sister gave me this on Christmas (I asked for it) and I was really happy to finally get it...I guess I was like 12 back then and when I started using it my lips got all red and they were hurting all the time. I'm no quite sure why it was like that, but this they only lip balm I have ever had allergy from. I definitely haven't used it anymore after that horrible time. But honestly i think it's not bad at all, it's definitely good for people who don't have allergy because I actually think it looks pretty natural...guess I was wrong haha. Then I had these four from ''The body shop''. These are lip butter's. 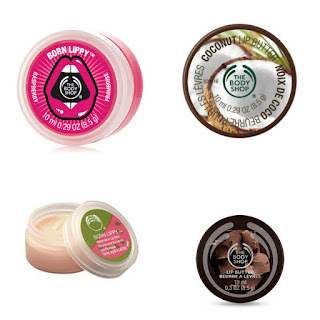 Honestly I could never say anything bad about Body shop. I'm a big fan of those products. They all are natural and always does their job. From these my least favorite was watermelon lip butter, because the smell of it was making me sick, it was too sweet and it smelt nothing like watermelons. But my favorite is the chocolate edition one. It's the perfect thing t put on your lips before night. When you wake up in the morning you lips are well moisturized and smells like chocolate. There's no other way how o start your day good than with chocolate smelling lips. And my newest discovery is the Avon care lip balm. I bought it yesterday and I'm already really happy with this one.This one doesn't have a smell and it don't have any special taste. 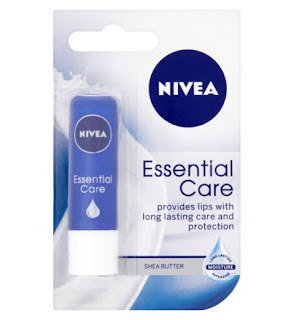 It's basically doing it's job - moisturizing your lips. 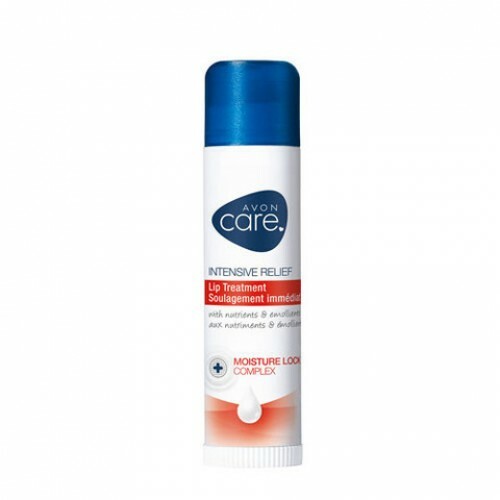 I once bought lip balm from Avon and I kind of didn't like it, so when I ought this one I really was hoping that it will be good. And it was. This is the best one for windy days when your lips just really need to be protected. So basically this is it. These been the lip balms I've used in the last years. As you can see I'm clearly are not the person who stuck's to one thing and use it nonstop. I hope you enjoyed reading this and I hope that maybe you got some ideas for your next lip balm. If not don't forget that internet is full with many DIY recipes for lip balms, so you can always can make yourself your own unique lip balm.